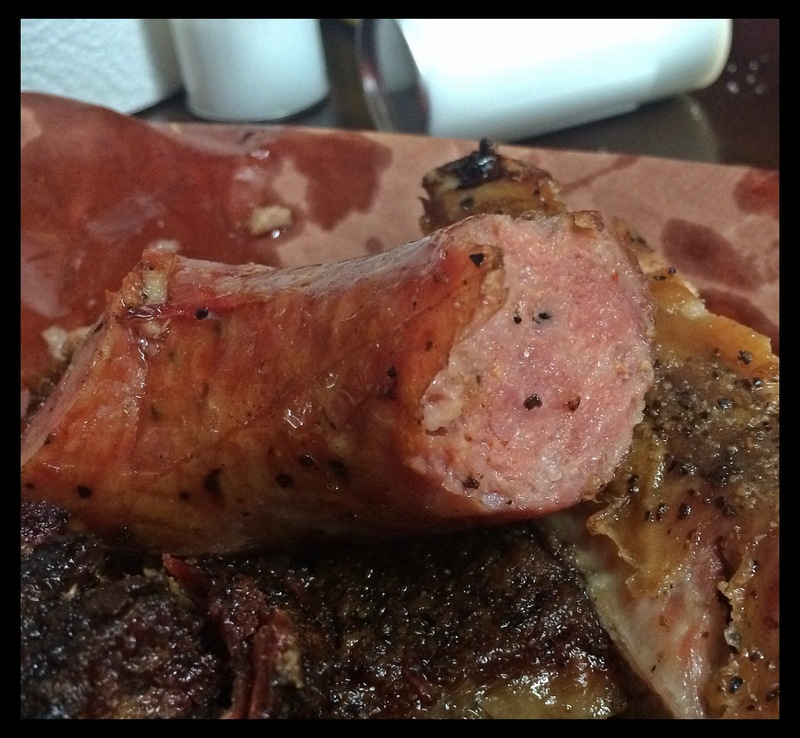 When people talk about Central Texas BBQ, towns such as Lockhart, Austin, and Llano come to mind, and for good reason. 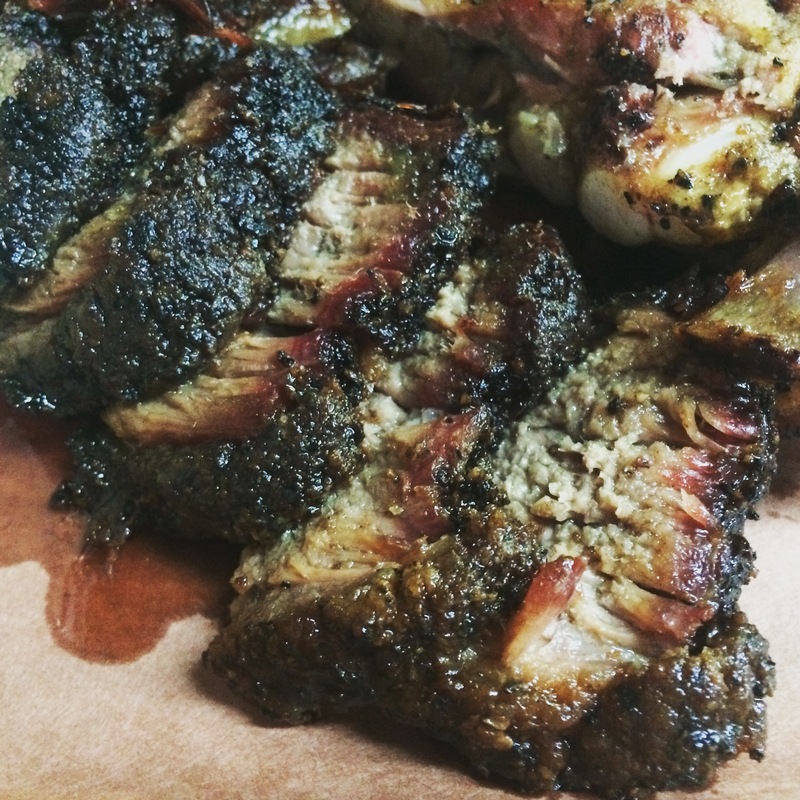 Lockhart has such nobility as Black’s BBQ, Kreuz Market and Smitty’s to lure BBQ seekers to town, and Austin has the famed Franklin BBQ, LA Barbecue, and Stiles Switch (among many others!) 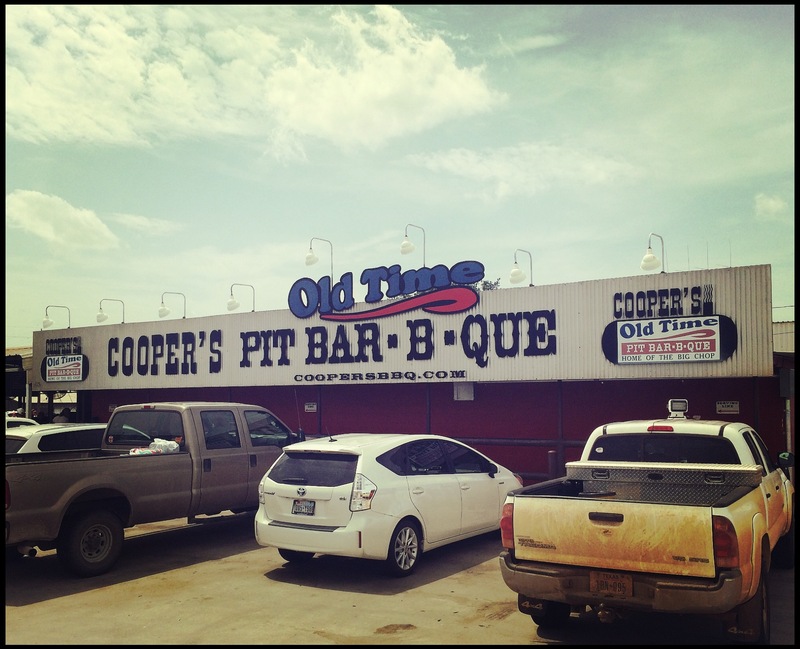 Cooper’s Old Time Pit Bar-B-Que alone is responsible for putting Llano on the map. Meat is served directly out of the large brick pit by the front door to the restaurant. Cooper’s was founded by Tommy Cooper in the 1950’s, and operated by him and his family until 1979 upon his death. 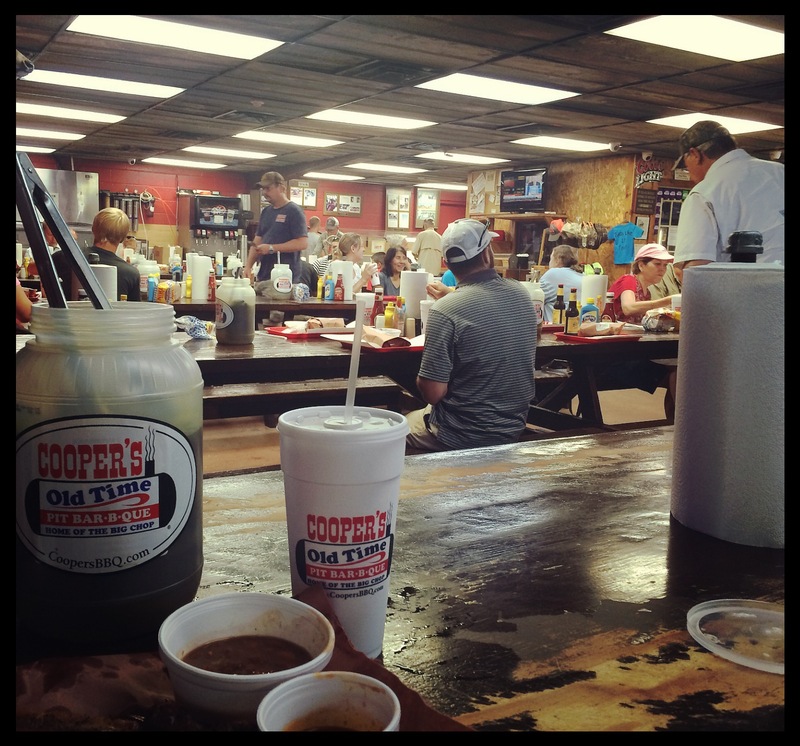 In 1986, Terry Wootan took over and continued Tommy Cooper’s legacy – making great hill country BBQ. Terry had worked for Mr. Cooper when he was in high school, and had learned the art of slow cooking meat over direct coals. Terry started out as the sole cook, with his wife tending the cash register and his children helping out where they could. As the business grew from serving 50 customers per day to serving 2,000 customers per day, Terry has hired additional help and added additional equipment to meet the growing demand. 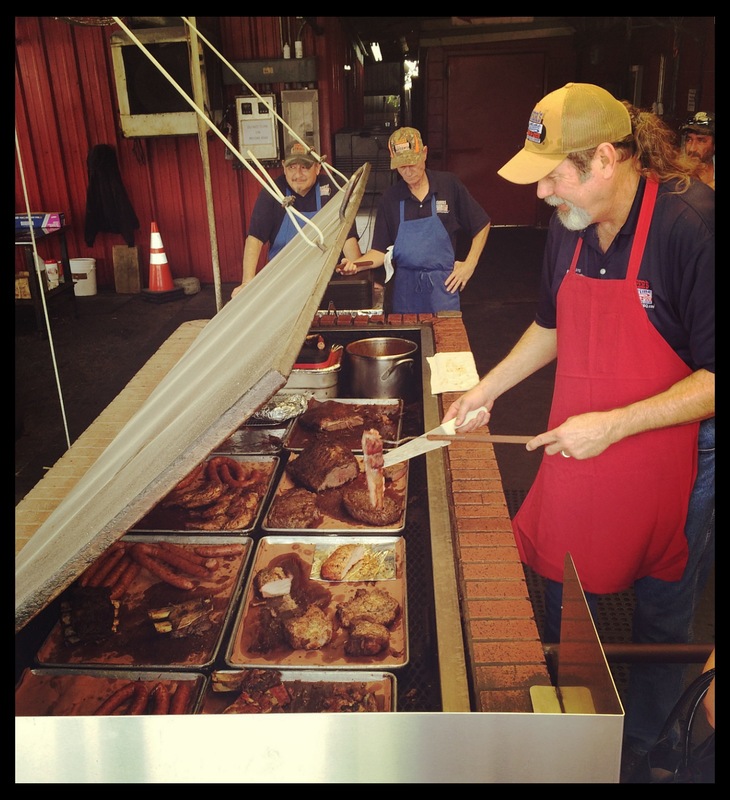 Terry takes pride in serving barbecue that is cooked “cowboy style”, that is, over direct heat. This is the reason for the “old time pit” part of in the name. If you’re coming out to Cooper’s, be warned, the line can get up to 1.5 hours long! But rest assured, it’s worth the wait! Upon reaching the front of the line, your meat order is served right off the big brick pit before going inside. The ample seating is made up of long picnic tables, accommodating large groups or facilitating a fun atmosphere for small groups – allowing customers to visit and mingle. Seating is family style at long picnic tables. 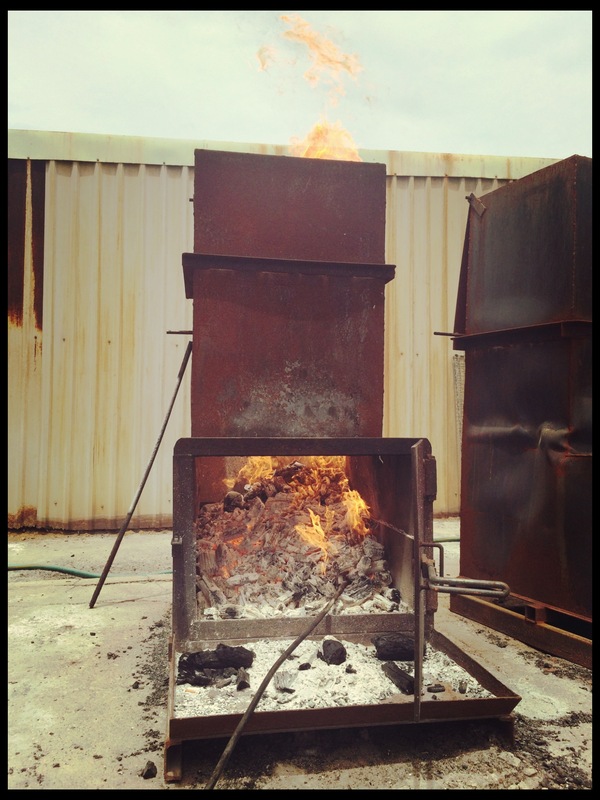 Cooper’s direct heat pits are fired by 100% mesquite coals. The wood is fed into one of several large “fireplaces” that reduce the wood to coal. The coals are then shoveled into the bottoms of the pits, spread out over the floor. The cooking grates are nearly three feet above the coals, which makes the cooking method technically direct, but much different than what you might expect. This method turns the pits into more of an oven than a grill. 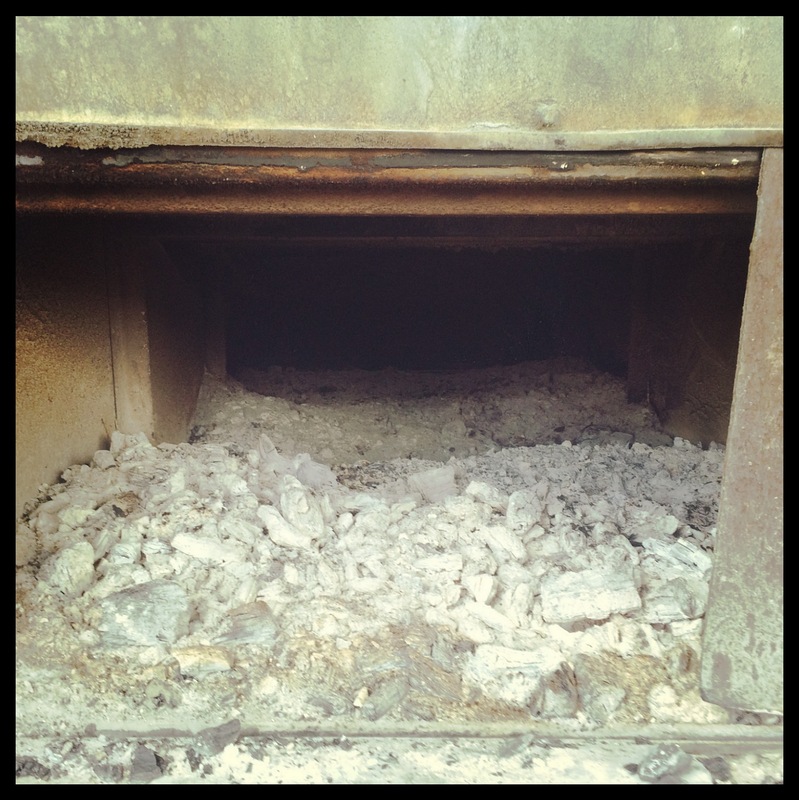 The briskets are no longer cooked on the large brick pits, but in large Oyler rotisserie smokers (still using direct heat from Mesquite coals). 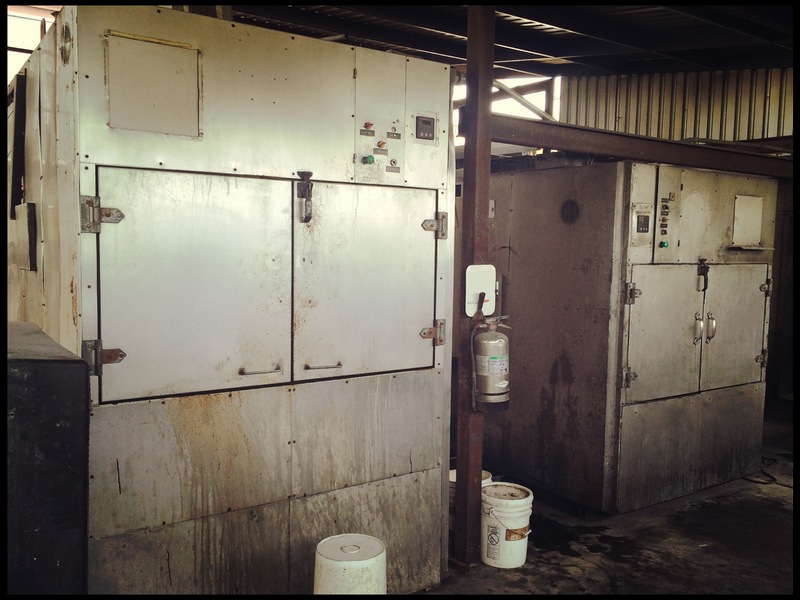 Large Oyler rotisserie smokers are used to cook the briskets over direct heat from Mesquite coals. The beef is USDA prime, and it shows! The tenderness of the brisket is reminiscent of LA Barbecue, Franklin BBQ, or Micklethwait Craft Meats. It is amazing how Cooper’s can get such a great taste in only six hours in the big rotisserie smokers. Across the board, Cooper’s brisket put up a perfect score save one point on flavor! The scorecard bears a notation next to the score for flavor: “is it the best?” belying my frustration with that one, lone missing point. It is possible LA Barbecue or Micklethwait Craft Meats served a better piece of brisket, but the brisket served to me was truly out-of-this-world good! It pulled apart with ease, and was so tender to the touch! It simply melted in the mouth, and boasted phenomenal flavor. A bit salty, but very flavorful! Thick, juicy cuts with bold, thick bark! Amazing! Amazingly tender, juicy, and delicious brisket! Cooper’s serves the biggest pork spare ribs I have ever seen! They are gigantic, and VERY good! The bark was flavorful, and the meat was tender and pulled away from the bone without too much fuss. They earned nearly a perfect score, missing just one point for flavor. 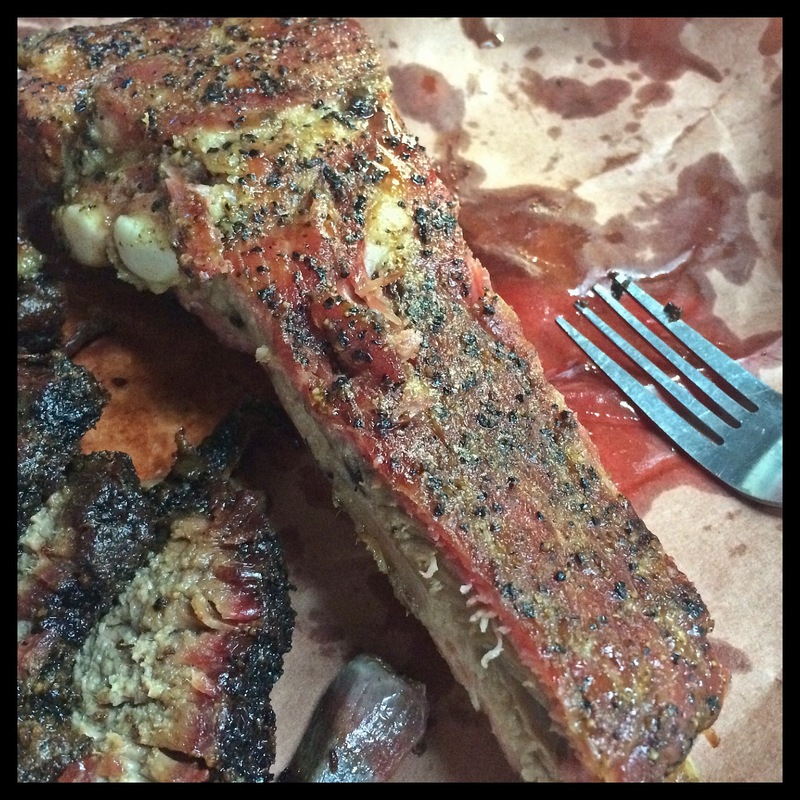 While very good, they just couldn’t match the flavor and perfection of the ribs found at Stiles Switch or Franklin BBQ, but came fairly close. Cooper’s Old Time Pit Bar-B-Que serves GIANT pork spare ribs! The only stand out among the meats at Cooper’s was the sausage, however, not for the reason I would prefer. The sausage came across as more of an afterthought, appearing store-bought, and rather bland. Don’t get me wrong – it was ok, but nothing I would get again (in fact, I haven’t ordered it again when I’ve been back). The potato salad was excellent. It is probably my favorite that I have sampled around Texas. The beans were by comparison standard fare ranch-style beans. This entry was tagged Bar-B-Que, barbecue, bbq, brisket, Central Texas Barbecue, Cooper's Old Time Pit Bar-B-Que, HillCountryBBQ, Llano, LlanoBBQ, pork ribs, sausage, Terry Wootan, TexasBBQ, The Best of Texas Barbecue. Bookmark the permalink.